Aspen Street Architects, Inc. (ASAI) had its roots planted in 1977 when David Hitchcock ventured up to the Sierra from the Bay Area and opened up an architectural practice serving the Bear Valley and Arnold areas. For many years this was the first and only practice in Calaveras County. Designing and constructing the majority of the homes in the late 70’s and early 80’s at Bear Valley ski resort, David quickly outgrew the initial offices and landed in a new home on Aspen Street in the high sierra town of Arnold, California. Hence the name Aspen Street Architects and the beginning of a company that would find its strength in personal, small town, rural California. From the early days with residential and design-build, to picking up jobs for institutional and commercial owners, David grew ASAI as a regional player in sustainable, economical, practical design. The firm’s early work with the local hospital and school districts sparked a specific focus, and is a basis for our current specialties. In 1983 ASAI moved down the hill to the historic gold mining town of Angels Camp, California. In the following years, between 1983 and 2000, we worked with over 30 acute care hospitals, skilled nursing facilities and clinics, and over 20 school districts. From the northern California Trinity Mountains and coastal towns, to the high desert eastern Sierra, and across the foothills and central valley, ASAI honed our specialty of assisting small rural healthcare and school districts in everything from funding assistance, master planning, and design, through the regulatory maze of jurisdictional agencies within California overseeing public building. 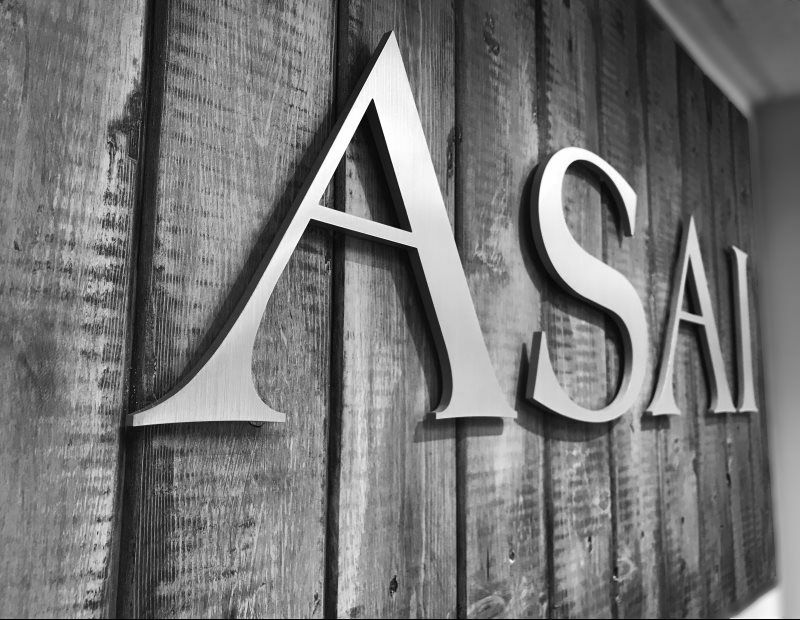 In the early 2000’s ASAI relocated to our current office outside downtown Angels Camp, still within Calaveras County. A highlight of these years included our involvement as the architect for the Rural Health Design Consortium, an organization of 13 critical access hospitals across California interested in finding ways to improve healthcare delivery at reasonable costs in an era when healthcare construction was sky-rocketing. This involvement culminated with the design of a component (modular) acute care template hospital that was accepted by the US Department of Health and Human Services as a prototypical critical access hospital plan. After some smaller component success stories in California, the modular acute care hospital vision was fulfilled in 2012 with our design and construction of the replacement facility for Mercy St. John’s in Joplin, Missouri. After a EF5 rated tornado destroyed their existing facility, ASAI led a team that completed a 150,000+ square foot acute care hospital from greenfield site to delivering babies within 8 ½ months. As the 2010’s advanced, ASAI’s focus grew from the rural backbone we established, to clients across the Sacramento Valley and west coast. We are now a preferred vendor for multiple healthcare organizations within the Central Valley, have completed projects for various branches of the federal government, supported numerous civic agencies in planning and studies of public places, and a partner with many general contractors assisting with design-build endeavors. ASAI’s direction has led to where we are today. We have maintained our roots and established lasting relationships. We have grown in specialty and knowledge, but our strength is still where it was in the beginning. Practical, cost effective, sustainable design solutions from commercial and institutional endeavors, to more technical healthcare and educational environments. Also, every employee at ASAI has a significant role in our success. Under David Hitchcock’s guidance, ASAI early on became and is still today, an employee owned corporation. We are invested in the development and growth of each employee to the betterment of the firm and the services we offer to our clients. And although small in number, our core leadership can boost of over 150 years of experience in the design and construction industry.